Offering double-diameter expansion, maximum weight retention and excellent accuracy, they provide maximum tissue and bone destruction, pass-through penetration and devastating energy transfer. 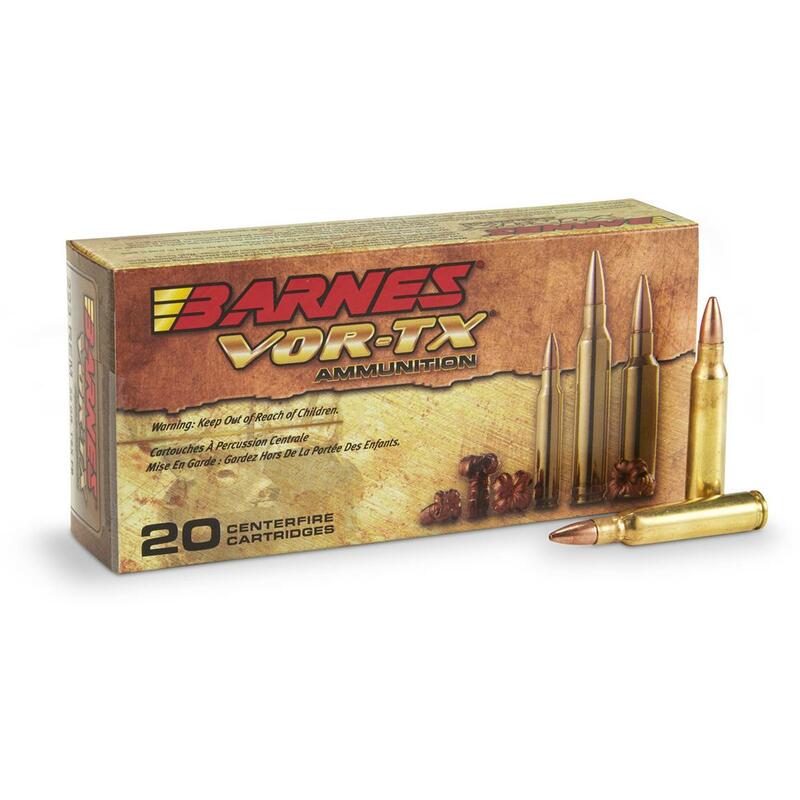 Order this rifle ammo today! Barnes VOR-TX .223 Remington, TSX Rifle Ammo, 55 Grain, 20 Rounds is rated 4.7 out of 5 by 6. 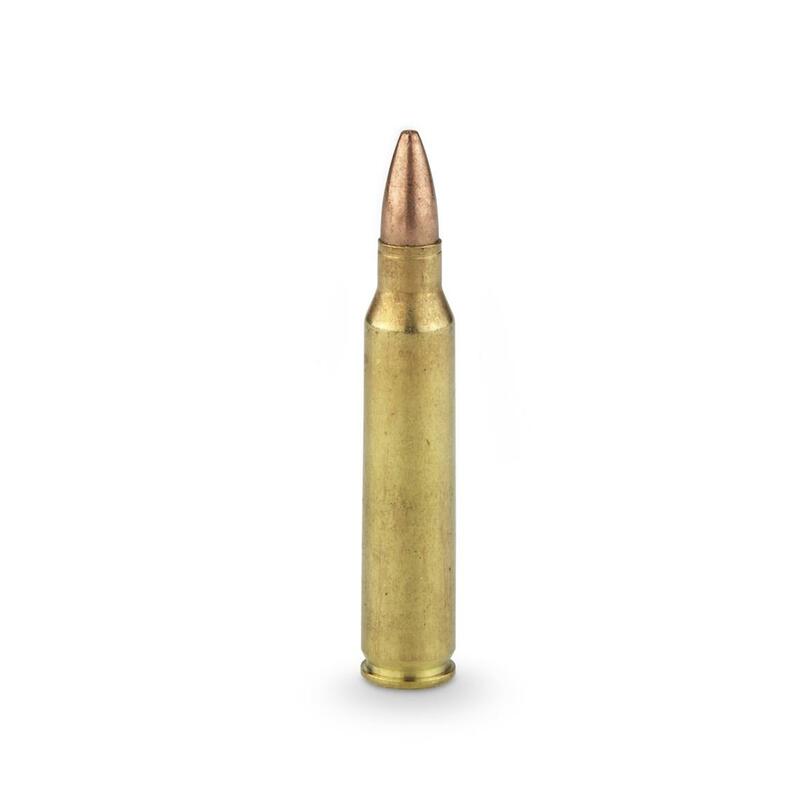 Rated 5 out of 5 by seasnake54 from Great Ammo! Rated 5 out of 5 by Fred from Excellent ammo Extremely accurate and very deadly on deer and hogs. I have used these for three years in Texas and have turned my friends onto this round. You won't be disappointed. Rated 5 out of 5 by neckshooter from effective I bought this ammo at the advise of a hunting buddy to hunt hogs with.. They group very well in my Rem Ar15 and in my Rem 700. My hunting partner dropped a fat 4 pt in it's tracks last year with one shot from the Rem Ar15. I have not had the opportunity to try them on hogs yet. Rated 5 out of 5 by ROB from An excellent product at a great price, it's very accurate and with my Sig Sauer M4 I can put five rounds within a 1/4" @ 100yds. Plus the TSX is a devastating round on game.